berry transitions from green to mottled/dark red. berry was traditionally stored in cooled grease. berry is high in vitamin C.
young shoots and green parts of young plants are edible, and best when cooked. rhizome is edible when cooked. 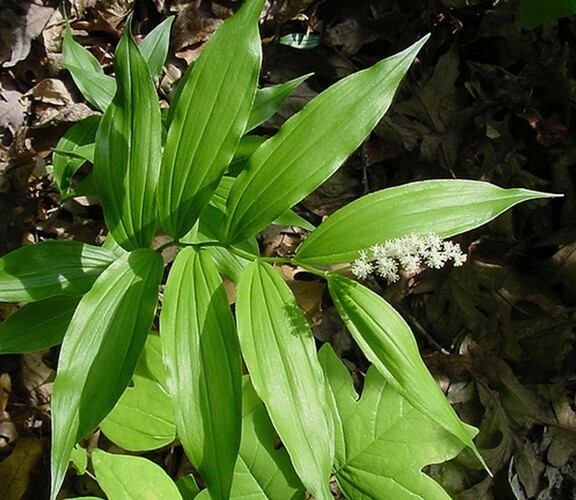 varieties in Ontario are False solomon's-seal (Maianthemum racemosum) and Star-flowered false solomon's-seal (Maianthemum stellatum). grows in thickets, forests, and moist open areas.